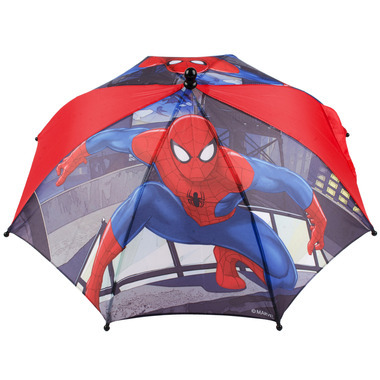 This children's umbrella is ideal for fans of Marvel's Spiderman. It features Spiderman perched ontop of a building. The umbrella has a molded shape handle making it easy to carry and also features a hook-and-loop fastener. CAUTION: Choking Hazard. May Contain Small Parts. Not For Children Under Three Years Of Age.